Bhutanomics blocked, a start to media filtration? Bhutanomics.com, a satirical website has been blocked by Druknet, one of the Internet Service Providers (ISPs) in the country. This was confirmed by a Druknet employee though he and his colleagues did not share who gave the instructions to do so. Nobody is really sure whether the website is operated within the country or the webmaster resides outside Bhutan. ‘Bhutanomics,’ the website defines itself as serving the citizen to understand Bhutan’s challenges. 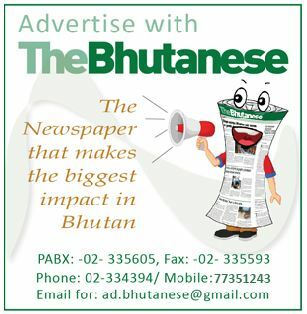 It also solicits the reader to express one’s opinions to help Bhutan make intelligent decisions for a meaningful future. The website since its inception had become hugely popular and was seen as an anonymous online forum to criticize the government. Blogs on the website were always a satirical take on developments or mistakes of the government. It also posted some direct editorial content randomly from local newspapers that it fancied. Not only does it limit its posts to text but even edits and modifies pictures to match their ‘news’. The site, however, was also criticized for slandering personal reputations withouth editorial oversight. Bhutan InfoComm and Media Authority (BICMA) officials said the authority hasn’t instructed any of the internet service providers (ISPs) to block the website. 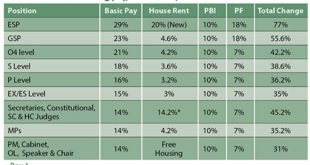 The two popular sites that has been posting articles on a regular basis are Bhutanomics.com and Jigsnews.tumblr.com. 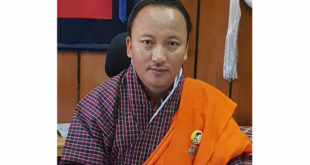 Cabinet Secretary Dasho Penden Wangchuk said he isn’t aware of any such websites nor has any idea about the cabinet banning the site.The MoIC’s department of information and media (DoIM) director Kinley T. Wangchuk said although aware of such websites, the department hasn’t received any directives on taking any action about it. “We haven’t blocked nor banned any websites,” he said. However, one of the users posted a comment on the website’s Facebook page with instructions on how to open the site despite being blocked by the ISP. “Let them block, we will always find a way to open it because this is the age of ICT,” he posted. He said there was no reason for such an extreme measure. “Blocking of bhutanomics.com is downright wrong. Druknet can be and ought to be sued in a court of law for violating our right to information. If Druknet was ordered by higher ups, those higher ups should be sued,” he said. The website though is still available in other private ISPs like Tashi Cell. 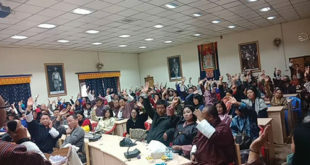 The general public opinion is that the government has banned the website from Druknet which is the biggest internet service provider in Bhutan and is owned by the government. Earlier a similar website bhutantimes.com also suffered a brief ban by the government before making a comeback and then fizzling out again. When the Bhutanese says it is not aware from where the website is hosted..i think it is lying because many people deduce where it was hosted from…or atleast who are behind this website…. although i find some good satire but most are defamatory….. I don’t know what part of Bhutanomics qualifies as satire, like Defoz says, most articles are defamatory and designed to make the person being attacked feel miserable. And as if the Bhutanese will know what satire is. It is extremely unfortunate that Druk Net a government Internet Services Provider has blocked Bhutannomics. Going by the reluctance of Druk Net official to say who asked them to block it the guess is that it is someone senior in the government. Going by the list of people who Bhutannomics attacked the main suspects would be politicians. The blocking of Bhutannomics will push Bhutan into an elite club of countries like North Korea, China, Iran and Syria where the internet is actively controlled by the government to block critical websites. The blocking of Bhutannomics may not technically qualify as an unfair election practices but morally it is an unfair election practice. In 2008 bhutantimes.com was highly critical of the PDP party and that played a role in influencing at least educated voters. However, during the elections there was no effort to block bhutantimes.com. However, DPT seems to even be clinically intolerant of any criticism and has gone to the extent of stopping this website. A neutral and balanced analysis of the Bhutannomics content will reveal that the website is not necessarily anti-government and in fact criticizes all section of society like political parties, National Council, Judiciary, Media, autonomous institutions etc. Therefore, it is a balanced website which though anonymous does not have any single agenda. The government going after this website therefore demonstrates that even if one is neutral criticism towards the government will not be tolerated. The Bhutannomics website of late was focusing a lot on the Gyelpozhing case along with commentary and going a step beyond the mainstream in exposing some obvious details. Perhaps this may have been the immediate reason in blocking it. Sites like Bhutantimes.com and bhutannomics.com though not perfect are very important for Bhutanese democracy. It allows people to express their opinions without any fear of crackdowns and backlash. This opinion though unofficial informs the government and policy makers what is the ‘real’ public perception or thought on a particular issue. The government based on this popular opinion can then avoid making mistakes. Bhutan does have a mainstream media but the bigger media houses are government controlled while the new ones are dying or too scared to give proper coverage. The Bhutanese newspaper had done some critical reporting on some big scams but it seems that the government is now punishing it by stopping advertisement. In this scenario it is only natural that people will be afraid to express their real opinions in public or in the formal media and will instead come out n such websites. It started out well, some witty and accurate stories. But then it started deteriorating to low levels of personal vendettas against various public officials. mixing fact and fiction and losing the satire focus of making a social commentary to derogatory articles. The site mixed satire and “real news” so we cannot really tell what is supposed to be real or fiction or social commentary. Some of these mixed stories also include fiction along with some true points. So one has to assume the whole site is fiction. but the average reader will not take it that way. When such focus is lost (like objectivity in “real news” media) all credibility of the intended purpose is then lost. The timing of the appearance of the site is also suspect as it is just around the time of the elections. somebody definitely has an agenda against the DPT govt and the PM in particular. this is very clear from the flavour of the stories and obsession with their the DPT , the PM and any of the supporters of DPT ‘parodied’ on the site. Some other characters were included but on the whole the message does not seem to be for constructive improvement but to bring down any public official. to what end who knows. The website is funded by “well wishers”. So in my opinion, the loss of the potential of Bhutanomics happened before the ISP block. They killed their own credibility. its not blocked. visit the web page. An absolute shame!!. It is a low blow and nothing less than trying to silence the voices of the ordinary people. Some of the articles look personal but do a little background check and there appears to be some truth. It is the individuals who are misusing power, involved in corruptions and dragging this country down. We do not see such post on everyone. Only the shady figures seem to be popularly targeted and we should understand that there must be something inherently wrong with these people. When people are able to express freely, we get early warnings which I feel will be of greater benefit to our society in the long run.